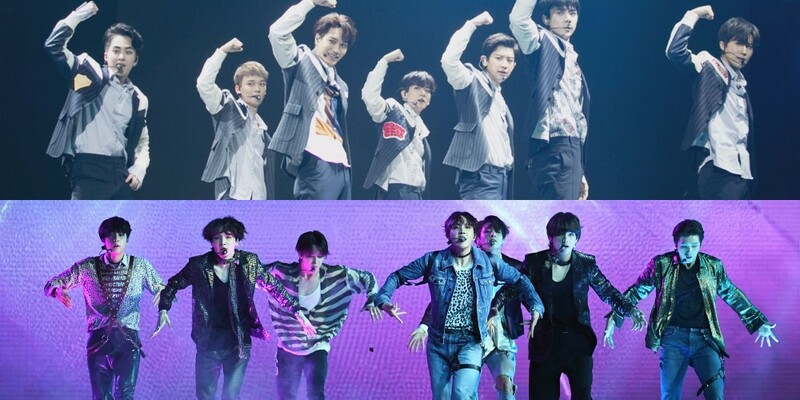 EXO and BTS have been nominated for the '2018 Russia World Cup's stadium music! On July 4, 'FIFA World Cup' started a poll on Twitter with the question, "Which beat do you want to hear inside the stadium?" The top 4 nominees were BTS's 'Fake Love", EXO's "Power", J Balvin's "Mi Gente" and Zedd's "The Middle". The songs by both K-Pop boy groups dominated the poll. 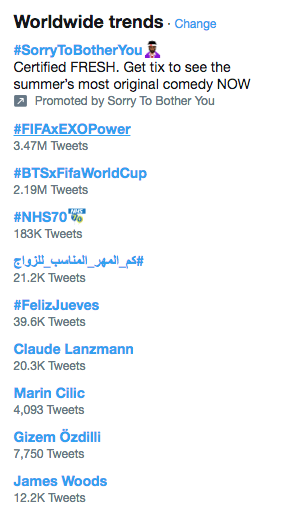 In fact, the hashtags #FIFAxEXOPower and #BTSxFIFAWorldCup trended worldwide on Twitter throughout the voting, showing the immense power of the K-Pop fandoms. After 24 hours, the poll drew to a close. A total of 3,323,207 votes were cast by fans across the globe. BTS and EXO led the votes with 48% each. J Blavin and Zedd also tied with 2% each.